Outfits Of The Day Who rocked it better? Jennifer obayuwana, swankyjerry or tiwasavage? Who rocked it better? 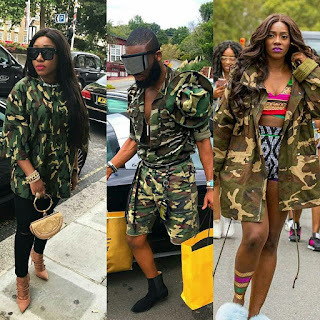 Jennifer obayuwana, swankyjerry or tiwasavage? Everyone seems to be obsessed with Camo dress especially our celebrities but this is an exception to ordinarily people like us because if we do, we might end up receiving few slaps. Now the question is who rocked it better between Tiwa Savage, Swank jerry and Jennifer obayuwana aka feeljeni?